Bluegill can be grilled whole. Bluegill fish is low in fat and saturated fat, high in potassium and an excellent source of protein, with each 4-ounce serving containing 22 grams of protein, or almost 40 percent of the daily protein requirement for men and 48 percent of the recommended intake for women. 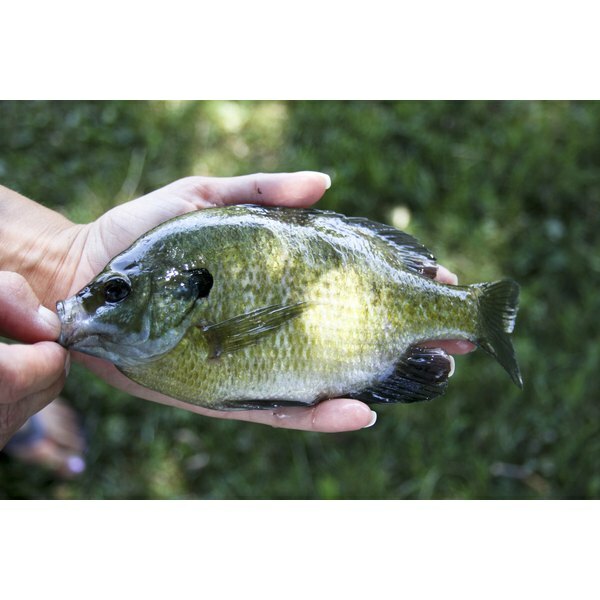 Valued by freshwater anglers for its firm, mild flesh, bluegill is commonly battered or breaded, then pan-fried. Grilling bluegill is a healthier, lower-fat choice, however. With the right method, you can grill either whole or filleted bluegill. 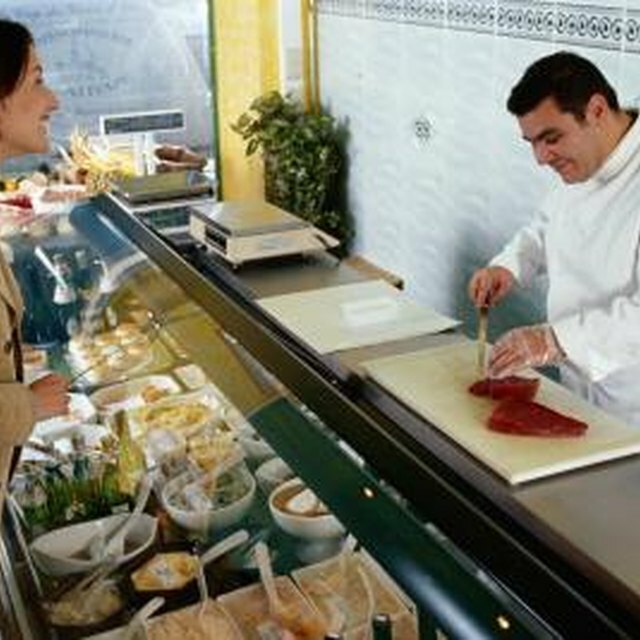 Make three angled slices, each approximately 1 1/2 inches apart, on each side of the fish, using a sharp knife. Cut all the way to the fish's spine with each cut. Rub the outside of the entire fish with vegetable or olive oil. Sprinkle both sides with salt and pepper. Heat a gas or charcoal grill to high, then allow the heat to decrease to medium. Use a wire brush to thoroughly clean the grate, then brush it with oil. Place the bluegill on the grill. Leave it to cook, undisturbed, for approximately three to four minutes. Use a spatula coated with oil to lift the fish to determine if it is sticking to the grill. Turn the fish gently to the other side with the oiled spatula when the skin is no longer sticking to the grill. Allow the fish to grill for another three to four minutes. Serve. Coat a large square of heavy-duty aluminum foil lightly with oil. Put the fish fillets into the center of the foil. Heat a gas or charcoal grill to medium. Put the foil with the bluegill onto the grill. Put the cover of the grill in place. Cook the fillets for approximately eight minutes. Use a fork to check that the fish flakes easily and that the center of the fillet is opaque before serving. For additional flavor, grill whole bluegill with the inner cavity seasoned with your choice of spices and stuffed with fresh sprigs of herbs like marjoram and thin slices of lemon, advises the Bon Appetit website. You can marinate bluegill before grilling. Combine oil and your choice of seasonings -- such as salt, pepper, garlic, minced fresh herbs and lemon zest -- in a bowl or shallow dish. Put the bluegill fillets into the mixture and allow them to marinate in the refrigerator for 10 minutes, then proceed with grilling the fish. If you prefer, top bluegill fillets with thinly sliced vegetables and wrap the foil around the combination to form a packet before grilling. To ensure that bluegill is safe to consume, use an instant-read meat thermometer to check that the internal temperature has reached 145 degrees Fahrenheit. Pregnant women should check with local advisories about contamination levels before eating locally caught bluegill. Field & Stream: Fish Recipe - Grill a Whole Fish. Perfectly. Every Time.